This photo portfolio website template is a smart pick to create a project-focused webpage and take good care of its appearance. 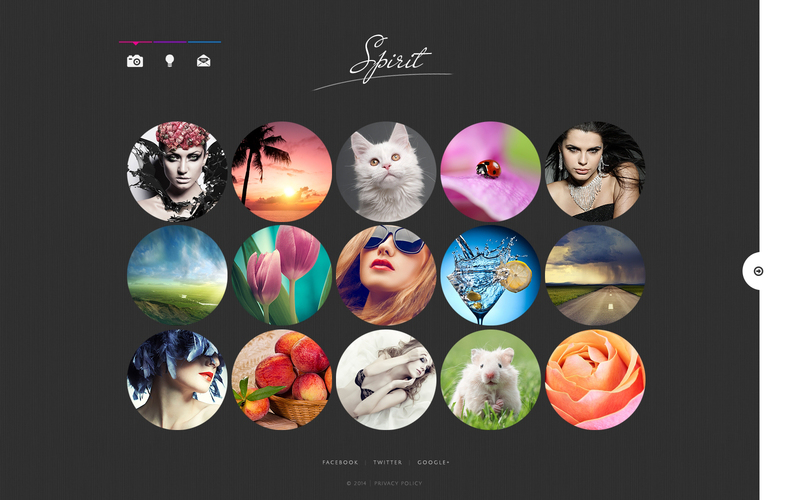 The theme has been designed for photography portfolio or pro photographer. Due to its responsive layout, you will effortlessly reach out to customers who view the world wide web on the run, whereas Search engine-friendliness will let you give a boost to traffic rates of your internet site. Take a look at this site template that radiates creativity, features all services in well-arranged layout with a lot of visual accents and pleases the visitors with functional navigation. Neat, valid coding and comprehensive guidelines will aid you in modifying this photo album portfolio website web template exactly how you desire. Want a rock-solid evidence that this design template is the one for you? Get hold of this web template and you'll find out.